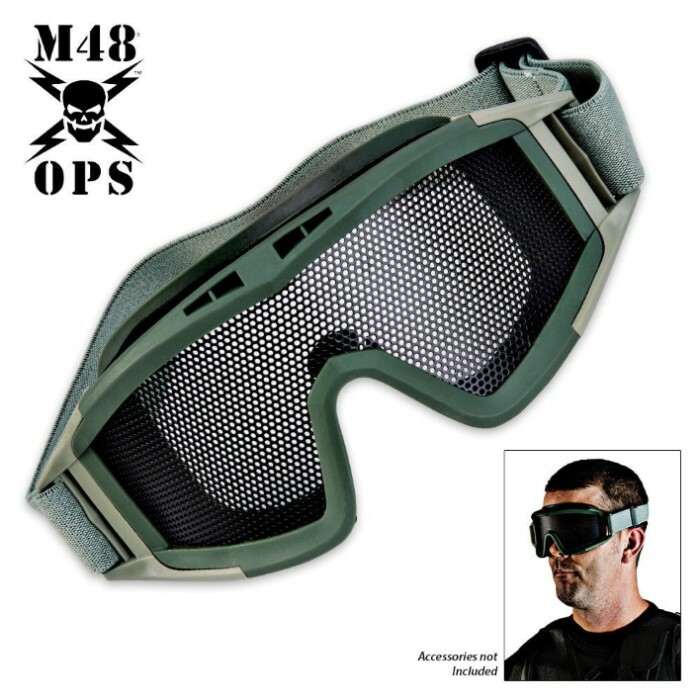 M48 Ops Military Tactical Mesh Goggle Green | BUDK.com - Knives & Swords At The Lowest Prices! These M48 Ops green military-style tactical desert goggles are perfect for hot or humid environments as they allow air to flow through them while still protecting your eyes from foreign objects. The rubberized and ABS frame is comfortable and pliable with an adjustable strap for a secure, custom fit. The black mesh wire lens is sturdy for good protection of your eyes and offers excellent visibility. 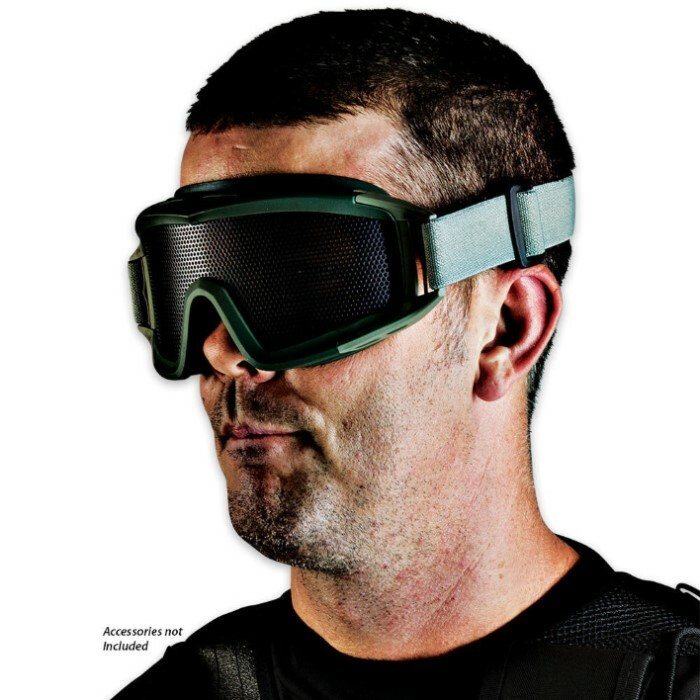 These goggles are perfect for airsoft and paintball practice!